Ying said that Shanghai is accelerating the building of a modern industrial system with modern service sector as the main body, led by strategic emerging industries and supported by advanced manufacturing. Automobile manufacturing is the city’s pillar industry with a rather complete industrial chain. Currently, Shanghai is dedicated to promoting the development of artificial intelligence and unmanned vehicle technologies. Ying welcomed ZF Friedrichshafen AG to expand its investment and share the development opportunities with the city and local enterprises. Scheider said that Shanghai has created a good business environment for enterprises. The company hopes to increase production capacity and deepen cooperation with local universities so as to jointly develop leading products. 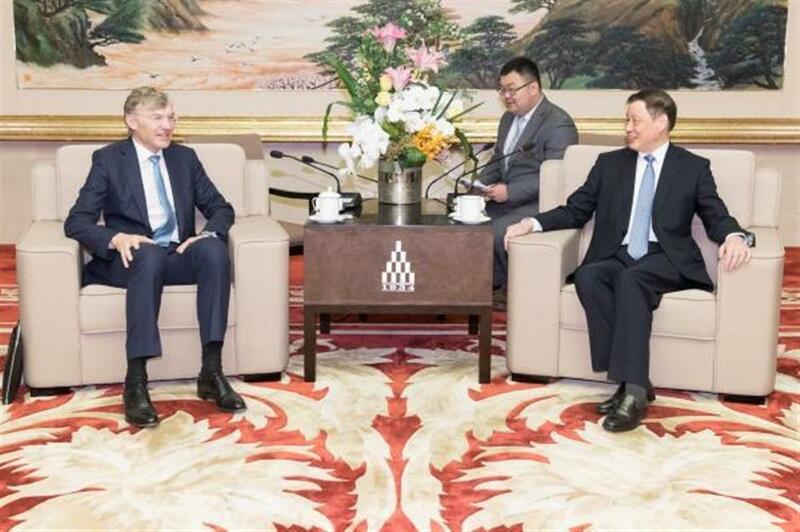 Shanghai Mayor Ying Yong met Wolf-Henning Scheider, CEO of ZF Friedrichshafen AG, on Tuesday.